Below you fill find all funeral homes and cemeteries in or near Sligo. Sligo is also known as: Clarion County / Sligo borough. Their current mayor is Mayor Jenny Lynn Barger. Zip codes in the city: 16255. Sligo is a borough in Clarion County, Pennsylvania, United States. The population was 720 at the 2010 census.It was named after the town and county of Sligo in Ireland. It was reported on May 30th, 2014 that Ronald A Bowser passed on in Sligo, Pennsylvania. Bowser was 88 years old. Send flowers to express your sorrow and honor Ronald A's life. It was noted on May 29th, 2014 that Bertha A Wiseman (King) perished in Sligo, Pennsylvania. Ms. Wiseman was 91 years old. Send flowers to express your sorrow and honor Bertha A's life. It was disclosed on May 12th, 2014 that Naomi R Lewis (Wingard) died in Sligo, Pennsylvania. Ms. Lewis was 97 years old. Send flowers to share your condolences and honor Naomi R's life. It was disclosed on May 5th, 2014 that Marilyn Smerkar (Hartzell) passed away in Sligo, Pennsylvania. Ms. Smerkar was 77 years old. Send flowers to share your condolences and honor Marilyn's life. It was noted on May 1st, 2014 that Myrtle N Chandler (Eberhart) passed away in Sligo, Pennsylvania. Ms. Chandler was 94 years old. Send flowers to share your condolences and honor Myrtle N's life. It was written on April 25th, 2014 that James E Stephenson passed on in Sligo, Pennsylvania. Stephenson was 98 years old. Send flowers to express your sorrow and honor James E's life. It was disclosed on April 22nd, 2014 that Clyde Earl Horner died in Sligo, Pennsylvania. Horner was 94 years old. Send flowers to express your sympathy and honor Clyde Earl's life. It was revealed on April 18th, 2014 that Burns Gardner "BG" Corliss passed on in Sligo, Pennsylvania. Corliss was 97 years old and was born in Elmira, NY. Send flowers to express your sympathy and honor Burns Gardner "BG"'s life. It was written on April 18th, 2014 that Burns Gardner "BG" Corliss perished in Sligo, Pennsylvania. Corliss was 97 years old and was born in Elmira, NY. Send flowers to share your condolences and honor Burns Gardner "BG"'s life. It was written by The Butler Eagle on April 14th, 2014 that Marcia June Slaughenhoupt (Gore) passed on in Sligo, Pennsylvania. Ms. Slaughenhoupt was 80 years old. Send flowers to express your sorrow and honor Marcia June's life. Sligo is a borough in Clarion County, Pennsylvania County, Pennsylvania, United States. 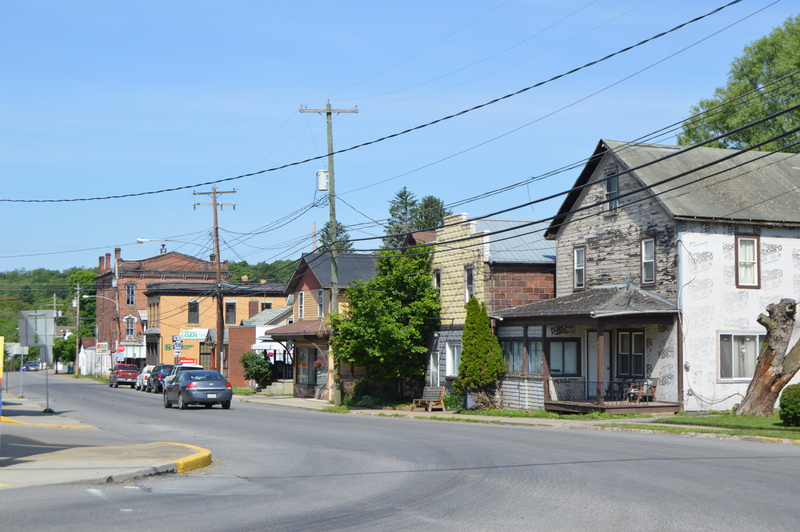 The population was 728 at the 2000 United States Census census. . . .
Varner Funeral Home company profile in Sligo, PA. Our free company profile report for Varner Funeral Home includes business information such as contact, sales and financial data. Listing all funeral homes in Sligo, Pennsylvania so you can easily send flowers to any location (same day delivery) or find any funeral service. Find a Funeral Home inSligo, Pennsylvania PA to provide the caring burial and ceremonial services your family deserves. We work with local florists and flower shops to offer same day delivery. You will find budget sympathy flowers in Sligo here. Our funeral flowers are cheap in price but not in value.